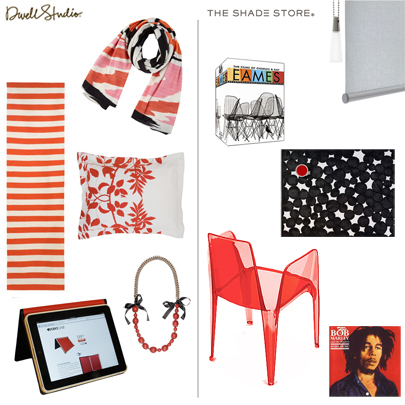 You are here: Home / The Shade Store / Oh, Valentine’s Day – You’re So Pushy! Oh, Valentine’s Day – You’re So Pushy! Yes, the big day is just around the corner. And for some that makes the heart palpitate. Not with excitement, but with panic. We’ve all been there–wandering down the aisle of a local drugstore looking for a card because all of the real stationery shops closed hours before. Brutal. We’ve asked Creative Directors of DwellStudio and The Shade Store, Christiane Lemieux and Ian Gibbs to share their gift picks for February 14th from dining, home and style. With these gifts, you may just get away without the accompanying card. For the guy, for the girl or just for yourself–this V-day, we’ve got you covered. Let us know how you fare. Happy shopping!